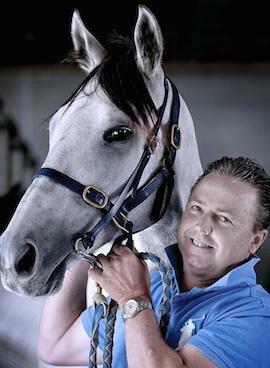 Trainer Trevor Andrews is banking on triple Group 1 winner Luckygray to fill the void left by Lucky Street after a minor injury forced the three-year-old to the paddock. As Luckygray launched another comeback from injury at yesterday’s Belmont Park trials, Andrews revealed Lucky Street wrenched a joint last week. Lucky Street, who returned from a short spell when winning a Belmont trial eight days ago, was being set for the $125,000 Northam Stakes (1100m) on May 1. “He’ll go out again for a long spell and come back for the summer carnival,” Andrews said. Andrews’ spirits were lifted by Luckygray’s comfortable trial win over 1000m yesterday. In his first public appearance in 11 months, Luckygray ran on from second last to beat Presentatie under little pressure from jockey Shaun O’Donnell. The $2.67 million stake earner missed his chance at a third Railway Stakes win in November because of a bone chip in a stifle. Andrews said Luckygray still had the zest for racing, despite several injury setbacks and his advancing years. “He’s still eager to race,” Andrews said. “We wanted to give him a nice, easy trial and he did it well. He’ll trial again at Lark Hill in two weeks and then go to the Roma Cup. Luckygray won the $150,000 Del Basso Roma Cup (1200m) last year in his first race in 12 months. A hoof abscess forced him to miss the $150,000 Belmont Sprint (1400m) a fortnight later. The two weight-for-age races are run on May 14 and 28 this year. Andrews said Luckygray’s campaign would also include the $150,000 Hyperion Stakes (1600m) on June 11 and possibly the $150,000 Strickland Stakes (2000m) on June 25. Luckygray has won 14 of his 30 starts, including the Railway in 2011 and 2013 and 2012 Kingston Town Classic.